Discount grocery stores arrived in the UK in the 1990’s with the opening of Aldi and Lidl. The success of this discount sector was based on the low price offering and mostly private label products. Despite the cramped and low budget shopper experience, consumers shopped there for the cost saving and to get better value for money. Fast forward 30 years and the success story of discount stores and we now have a new big player entering the discount market. This week, Tesco has launched it’s new discount brand called Jack’s and will be waging war against Aldi and Lidl to gain a share of the discount shopper! In the past, discount stores were the supermarkets for the lower income families, today however, this is not the case with high numbers of affluent families shopping in discount stores. There has been a drastic shift in consumer perception in the last 10 years away from a perceived stigma of shopping in a discount store. This has arguably been the biggest shift in growth for discount stores opening up to a whole new audience and increasing potential market share. 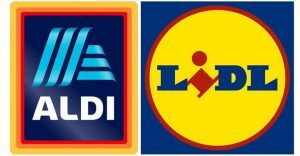 In 2015 Aldi overtook Waitrose as the UK’s fifth most popular supermarket and after years of continued growth Lidl now has its biggest ever share (5.2%) of the UK grocery market. 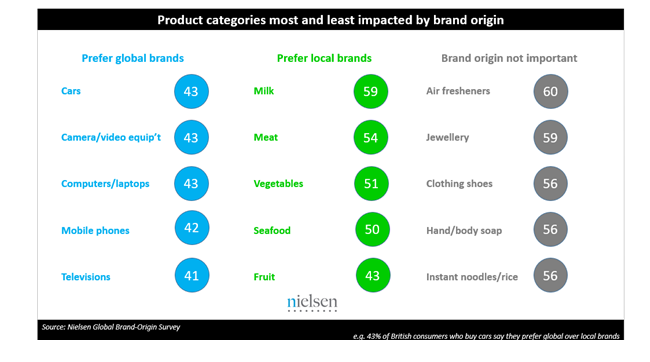 30% of Britons now admit to buying cheaper grocery brands to save money. A recent study reported that one in three Aldi and Lidl shoppers is ‘upper or middle class’. Mintel reported that a higher proportion of wealthy people shop at discount stores Aldi and Lidl than those on lower incomes. It shows that 77% of household earning £50,000 or more have used these stores, compared to 73% of households on incomes of less than £15,000. 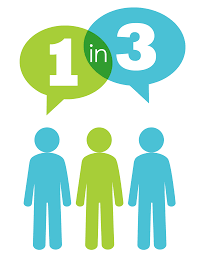 As David Harvey, University of Huddersfield’s expert in consumer behaviour, said: “A marginal difference perhaps, but it demonstrates that the discounters now have a broad appeal across different income groups and that wealthy shoppers enjoy a bargain as much as anyone else. So what is Jack’s bringing to the table? Tesco launched is discount brand store in 2 new locations this week, with the aim of offering consumers a ‘bespoke experience’. Jack’s has a tough challenge ahead, to compete with the well known German brands who have managed to reinvent themselves over the last decade, meeting consumer needs and demands resulting in huge market growth. Their success over longer established chains such as Iceland, has been on promoting quality and adapting product ranges and new interesting lines. The ability to monitor and harness shifts in consumer trends and needs at a competitive low price, has kept them relevant and desirable as a shopping location for many. Tesco’s will need to be able to offer a strong differentiation not only from their main stores to prevent cannibalism but also to gain share from loyal Adil and Lidl customers. 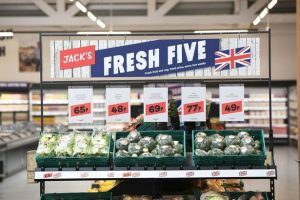 Tesco’s’ is positioning Jack’s around Britishness and being the “cheapest in town” to rival Aldi and Lidl. The made, grown and reared ‘being British’ differentiator is key and different to ‘sourcing from’ so may attract loyalty from it’s shoppers. If Tesco’s can provide cheaper price points and prove local sourcing they have an opportunity to become a strong presence in the discount marketplace. It will be interesting to see how shoppers vote with their feet over the course of the year. Tesco’s Chief Executive, Dave Lewis states the group planned to open 10-15 Jack’s stores over the next six months.